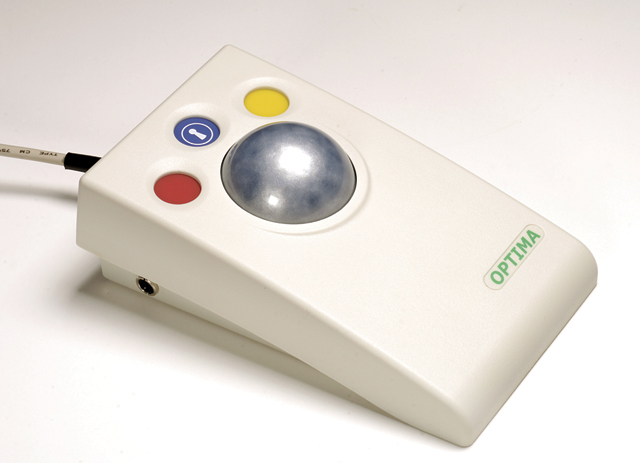 The OPTIMA Rollerball uses durable, optical technology for precise tracking and control of the cursor. A silky smooth ball movement and large footprint for stability make the OPTIMA ideal for a wide spectrum of computer users. Robustly constructed with no mechanical wearing parts, the OPTIMA is maintenance free and will give years of untroubled service. Color-coded buttons mounted sub-flush to prevent accidental activation.